Botulinum toxin has been administered for about thirty years to reduce or temporarily eliminate facial wrinkles. The conventional technique is to inject deep directly intramuscular. The areas treated are mainly the muscles of the upper 1/3 of the face (crow's feet, lion's wrinkles, forehead wrinkles) and more rarely, treatment of the lower areas of the face or neck, such as the Nefertiti lift. 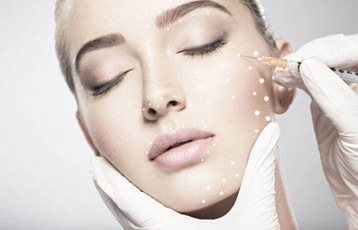 Unlike the classic Botox injection technique that targets muscles, the Microbotox or Mesobotox technique is an innovative method that uses botulinum toxin in the form of very small intradermal boluses made using a special syringe with very thin painless needles. Botox is injected directly into the skin and not into the muscles and it will stimulate collagen production, leading to overall rejuvenation of the skin. The high dilution of botulinum toxin at homeopathic doses makes it absolutely free from possible side effects on sites that were previously difficult to treat including the lower third of the face with action on the vertical wrinkles of the cheeks and on the mandibular line. 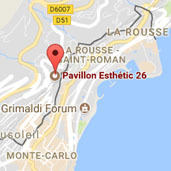 This new technique allows the use of botulinum toxin in mesotherapy superficially on the skin of the face, neck and décolleté. treatment of keloids (hypertrophic scars) which, with Botox, lose their inflammatory state and become white. The frequency of the sessions is of a single session every 5 or 6 months to maintain the results obtained. The intradermal use of highly diluted Botox is a new approach to aesthetic treatments of the face, neck and décolleté. 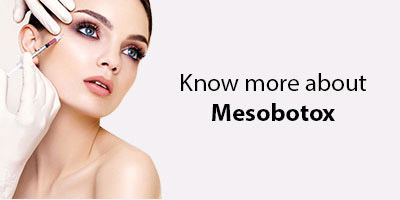 The new use of Botox in the form of Mesobotox or Microbotox is a complementary treatment that will not replace the traditional and known use of Botox. The activity of Botox on facial expression muscles used to fight wrinkles is enriched by intradermal activity to improve the biomechanical qualities of the skin. Both actions are synergistic in a global treatment and act by significantly improving the elasticity and the resistance of the skin. In addition, in the neck and lower part of the face, the intradermal micro-infiltration technique produces a lifting effect of the cheeks and a more precise definition of the mandibular line.